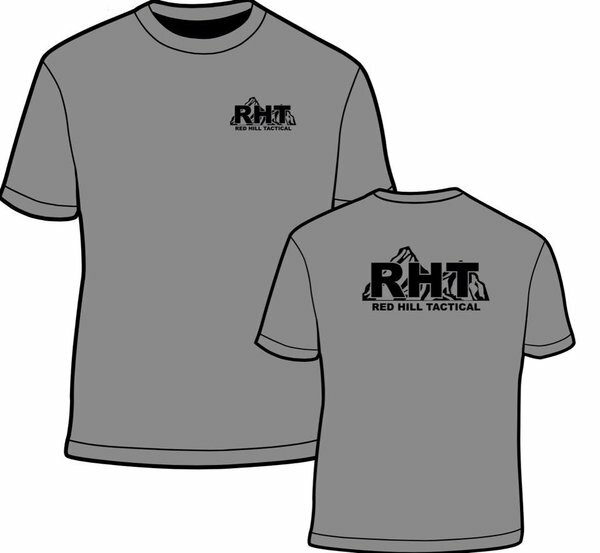 This is a high quality Gildan shirt with the Red Hill Tactical logo on the front chest, as well as a larger logo on the back. The logo is red and black on a gray shirt. More apparel options available at our SquadLocker.